Regularly evaluates and provides guidance to clients regarding the FCRA, FDCPA, TCPA, and various state consumer protection laws. Represents national consumer reporting agency in various jurisdictions throughout the country. Obtained multiple summary judgments on behalf of clients in litigation brought by consumers alleging violations of the FCRA, defamation, invasion of privacy and other state law claims in various jurisdictions throughout the country. Obtained favorable settlements on behalf of clients in various jurisdictions throughout the country for claims brought under consumer financial protection statutes. Represented a national financial institution in lawsuits throughout the country for claims related to mortgage foreclosures. Represents and defends various clients in civil litigation matters before federal and state courts throughout the country. 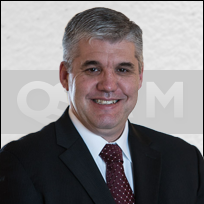 Marc Kirkland is a partner and a member of Quilling's Consumer Financial Litigation team. Marc’s practice is primarily focused on defending financial institutions, consumer reporting agencies, background check companies, creditors, debt collectors, and other companies against claims under the FCRA, FDCPA, TCPA, TILA, ECOA, RESPA and other federal and state statutes. He counsels companies on corporate compliance issues related to various consumer finance laws. Marc also represents corporations, partnership, and individuals in complex business litigation matters, including contract disputes, tortious interference, and real estate claims.